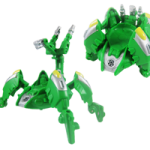 Load and explode into action with Bakugan Battle Suits! 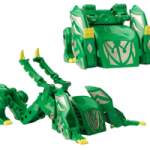 Transform your Bakugan into the strongest and fiercest Bakugan ever to dominate in battle! 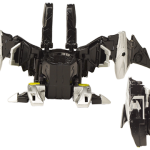 Drop your Bakugan into the Battle Suit and trigger the massive fully-armoring transformation! The Bakugan Battle Suits were created by the siblings Spectra and Mira. The Battle Suits became an important arsenal for the brawlers as it was because of the added power boost and firepower of the Battle Suits that they had won their battles. 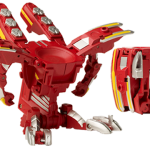 August 2011 - The first Bakugan Battle Suits were released on August, during the fourth season of the Bakugan series, Bakugan: Mechtanium Surge. 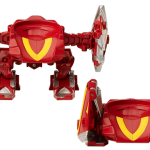 There were four introduced in this wave of Bakugan. 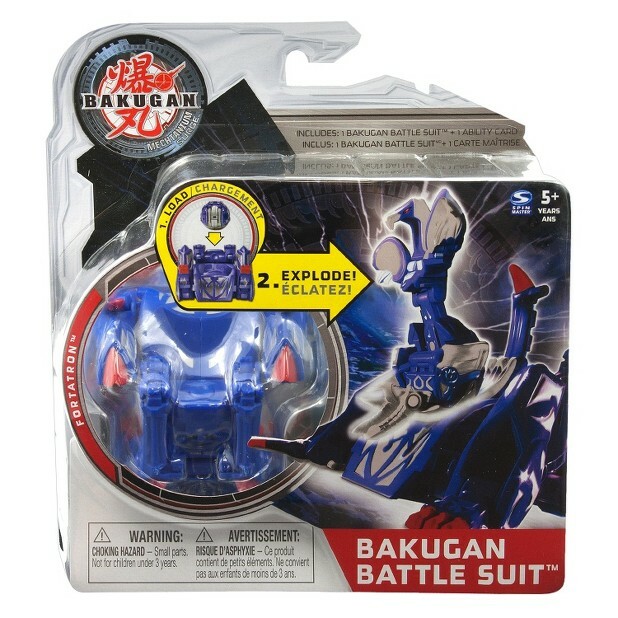 October-November 2011 - There were only two Bakugan Battle Suits introduced in this set.